Listen! What's that noise? 聞いてごらん, 何の音だろう. He listened to me [to the music]. 彼は私の言葉に[その音楽に]耳を傾けた. I like to listen to the radio. ラジオを聞くのが好きだ. We listened to his band playing. 彼のバンドが演奏しているのを聞いた. She liked to listen to children talk. 彼女は子供たちが話すのを聞くのが好きだった. Listen to her advice. 彼女の忠告に従いなさい. We listened closely for his footsteps. 彼の足音がせぬかと聞き耳を立てた. Your story listens reasonable. あなたの話はもっともらしく聞こえる. I listened hard but didn't hear anything. We enjoyed listening to the Beatles. I just wanted to be listened to. She listened to birds singing. I like listening to Paula play the flute. Don't listen to such a guy. She wouldn't listen to our advice not to marry the man. Listen, I got something to tell you. She listened for the steps of her husband. I listened in late at night while preparing for the exam. Don't listen in on our argument! FBI agents began to listen in on his phone calls. Please listen out for the baby while I'm cooking. Hey, just have a listen to this CD. Listen carefully to me [what I'm saying]. I listen to the radio every morning. I like her because she always listens. He likes listening to Paula play the flute. I'm talking. Listen me out! She loves him so much that she won't listen to reason. You haven't been listening to a word I've said! To wait for incoming traffic, calls or connection requests on a port. From Middle English listenen, listnen, alteration (due to Middle English listen (“to listen, give heed to”)) of 古期英語 hlysnan (“to listen”), from Proto-Germanic *hlusnijaną, *hlusnōną (compare Middle High German lüsenen), from Proto-Germanic *hlusēną (compare Old High German hlosēn), from Proto-Indo-European *ḱlew- (“to hear”) (compare Ancient Greek κλαίω (klaíō, “I make known, famous”), Welsh clywed (“to hear”), Latin clueō (“I am famous”), Lithuanian klausýti, Old Church Slavonic слѹшати (slušati, “to hear”), Sanskrit श्रोषति (śróṣati). Related to loud and German lauschen. 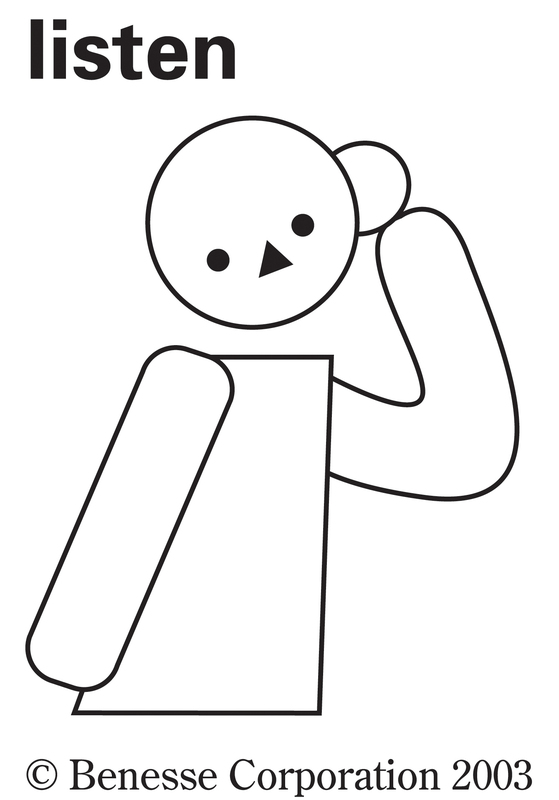 (transitive, archaic) To hear (something または someone), to pay attention to.